Dr. Joe Tims, Sr. came to Tabernacle Baptist Church April 3, 1973. Dr. Tims is a graduate of the Bible Baptist Seminary with a Bachelor of Divinity and the Arlington Baptist College with a Bachelor of Arts. He is also a graduate of the Bethany Bible College with a Masters and Doctorate of Theology; Dr. Tims is a certified Master Police Chaplain in the International Conference of Police Chaplains and has a Masters of Science in Counseling from Amridge University of Montgomery, Alabama, Doctor of Ministry and a Ph.D. in Biblical Counseling from Trinity Bible College. Dr. Tims has fifty years in the Gospel Ministry. He has served as adjutant professor at the Arlington Baptist College in the Bible Department, Christian Counseling Department and Psychology Department. He has served on the board of the Arlington Baptist College and the Minnetonka Youth Camp. Rev. Walters and his wife Janie, re-united with Tabernacle Baptist Church in 1995. Prior to this date he pastored Stepping Stone Baptist Church, Ardmore,Oklahoma and the Grace Baptist Church of Newark, Texas. He surrendered to preach in 1971 and was ordained at Tabernacle Baptist Church in 1974. Andy has attended the University of North Texas and the Arlington Baptist College with emphasis in Pastoral Studies. In addition to being the Associate to the Pastor, he serves the Lord in the capacity of Sunday School Administrator. Bro. Spivey has been at Tabernacle Baptist Church since 1981. He served as the assistant music director from 1997-2014. In 2014, he was named the music director. Prior to becoming the Music Director, he served as pianist in the Children's Church Ministry. He and his wife, Mandy, are active members of the Church Choir and special music. Debbie Smith prepares the congregation with worship service. The responsibility of Children's Ministries Coordinator (Nursery, Toddlers' and Children's Church). Bro. Tony Tims has been at Tabernacle Baptist Church since 1973 and his wife, AshLeigh since 1981. In addition to Sunday School Teachers, the Tims serve the Lord as leaders in our Children's Church Ministry. Bro. Tims holds a Bachelor of Arts in ChristianCounseling and Psychology, with a Masters in Communication and AshLeigh completed her Associates in Bible from Louisiana Baptist University. The nursery is provided for infants to 3 years of age. The nursery is staffed by the ladies of our Church, who are qualified to care for the children. We encourage all mothers to take their children to the nursery so that the Worship Service might not be disrupted. We want to ensure that everyone has the opportunity to hear and respond to the calling of the Holy Spirit as the Word of God is preached. Bro. Spivey has been at Tabernacle Baptist Church since 1981 and his wife, Mandy since 1999. In addition to Sunday School Teachers, the Spiveys serve the Lord as leaders in our Toddler's Church Ministry. He also works with the puppet and skit ministry for Vacation Bible School. They both attended Arlington Baptist College with emphasis on education. Bro. Bissell is a graduate of Arlington Baptist College with a Bachelor of Science in Bible and Kathryn attended ABC. In addition to Sunday School Teachers, the Bissells serve the Lord as leaders in our Children's Church Ministry. Bro. Bissell also serves as the Visitation Coordinator. Pat and Barbara Finley have been members of Tabernacle Baptist Church since 1992. 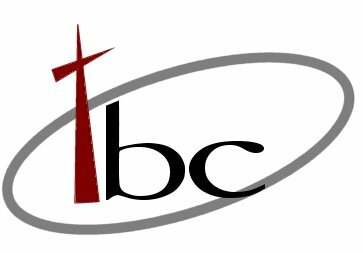 Prior to joining Tabernacle they were Children's Church Directors at Liberty Baptist Church in Wichita Falls, Texas. Bro. Finley is a graduate of the USAF Academy with an Aeronautical Engineering Degree. The Finleys also serve as leaders in our Children's Church Ministry. Bro. Tony Tims has been at Tabernacle Baptist Church since 1973 and his wife, AshLeigh since 1981. In addition to Sunday School Teachers, the Tims serve the Lord as leaders in our Children's Church Ministry. Bro. Tims holds a Bachelor of Arts in Christian Counseling and Psychology, with a Masters in Communication and AshLeigh completed her Associates in Bible from Louisiana Baptist University.